Would-Be-Goods, Birdie, Isnaj Dui & Karina ESP, Gareth Dickson, Georgia Ruth and more. 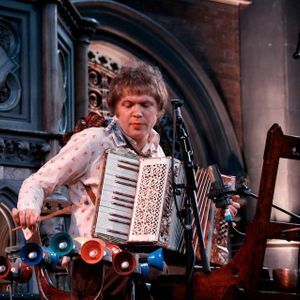 Arctic Circle Radio is proud to present this series of podcasts looking at the free weekly Daylight Music events taking place at the Union Chapel in Islington. Taking place most Saturday lunchtimes from 12-2pm each Daylight showcases 3 diverse acts, recent performances have ranged from looped flute and suitcase to harp based singers, big choirs and cello quartets. In our thirteenth edition we feature live performances from the Chapel by Would-Be-Goods, Birdie, Isnaj Dui & Karina ESP, Gareth Dickson, Georgia Ruth, Cowbois Rhos Botwnnog, Goccia di Voci, Correatown, Heed The Thunder and Directorsound, all captured during our 2012 programme.